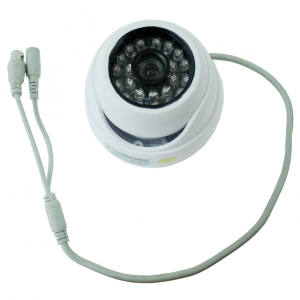 The combined siren and strobe light adds eye-catching visual and audio alarms to the sensorProbe or securityProbe series of devices. When triggered, the siren will generate a loud alarm sound and the strobe light will flash brightly, giving a clear alert of an alarm condition. The siren and alarm are both incorporated into one device. Up to 2 sire and strobes can be connected to the intelligent sensor ports on the sensorProbe2 device. On sensorProbe 8, securityProbe 5E and E- sensor8 expansion module. Each device comes with a free CAT5 cable, 5 feet in length. 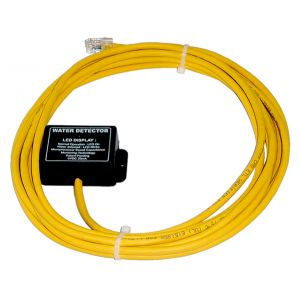 You can connect the siren / strobe light using your own CAT 5 cable up to 1000 feet, allowing the sensors to be positioned in hot spots. When a combined siren / strobe light is plugged into the intelligent sensor port, the base unit willauto detect the sensor, and it display the status of the device. The siren / strobe light can be triggered manually, via the web interface, or it can be configured to turn on at certain times, through the web interface. The device can be triggered by any sensor connected to a sensorProbe or securityProbe device, or by an alarm condition generated by the base unit. It can be fully integrated with the sensor notification matrix on the securityProbe series. Each device has its own SNMP OID so that status can be collected over the network. Additionally, the siren and strobe can be controlled via SNMP across a network.